Not sure where you live but there is a place in Fyshwick. I got mine there. Wanted them to look old. Page 6 of my thread has a couple of pics. I used old powerpoints for visual, above kitchen but new ones for the fridge and charging etc. They all work. Check with any electrical store that deals with Clipsal. I know the light switches are available and would think the power points still are too. Probably a special order. Been there, done that. I have checked every possible place that sells power points and sadly the only ones are available are pretty modern looking in bright white or black. 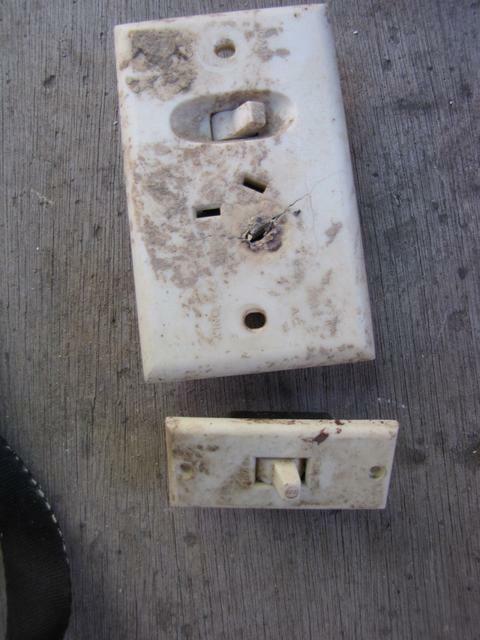 If you are restoring an old house there are electrical components available, but not for caravans. If you do get some second hand ones make sure the contacts feel tight when you push a plug into it. If they are a bit sloppy the power point might end up like the one you have in the picture. I can go to Fyshwick and have a look for you. I need to go there next week. PM your mobile and I will take pics for you.